Be warned: There are spoilers for Aquaman herein. 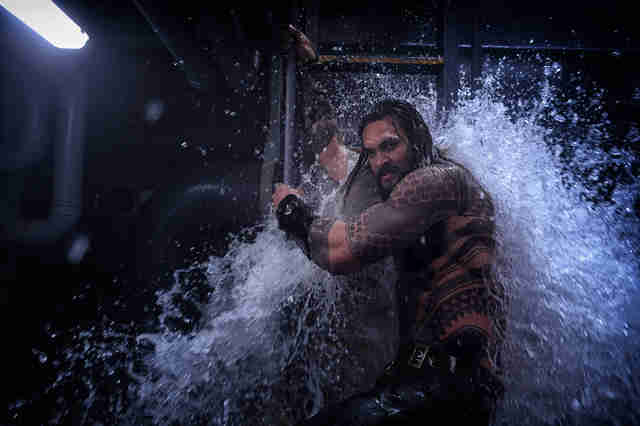 For most of Aquaman, the primary villain is the Atlantean king Orm, Aquaman's half-brother who has designs on becoming Ocean Master and ruling both the seas and land. Still, there's another foe that Arthur Curry faces in the course of his more-than-two-hour-long journey: Black Manta, played by Yahya Abdul-Mateen II of Netflix's The Get Down. The character is a classic nemesis for Arthur, and is set up in the film's mid-credits scene for a much bigger role in the inevitable sequel. 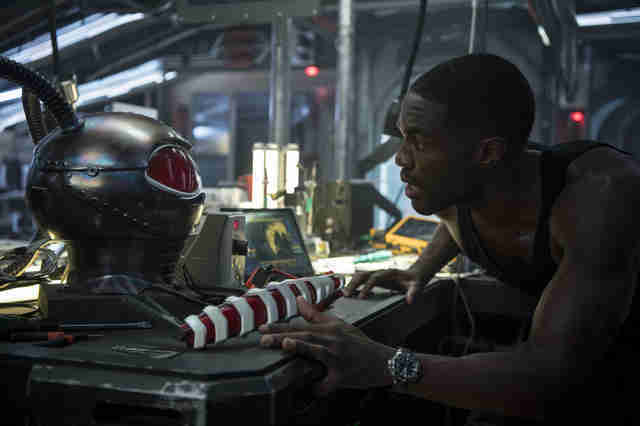 But director James Wan was hesitant to give Black Manta as big a role as he wound up getting. "I'm not a fan of necessarily starting your first film off with two villains," Wan says during a recent interview. "He's definitely not the main villain." But Wan adds he figured that fans might get testy if they didn't see Black Manta at all in an Aquaman-focused movie. After all, his beef with our hero stems all the way back to 1967, when he made his first appearance in "Aquaman #35." "In some ways, it is Aquaman who creates Black Manta," Wan says. "It's an origin story for Black Manta as well which I think is really cool. And ultimately basically what Arthur realizes is by being more flippant and not showing Black Manta and his father mercy at the start of the film, he ends up creating a lifelong nemesis and he realizes that's not what it means to be a hero." That's one of the reasons their conflict stayed in the final cut. "There was a moment we thought maybe we should take it out, but then taking him out actually affected Arthur's arc," Wan adds. For what it's worth, the submarine set piece wasn't exactly easy to shoot. Whereas most of the Atlantis action was shot dry -- with the water effects added later -- this one actually required liquid. " We built the submarine section over this giant water tank with hydraulics," Wan says. "As the water was pummeling in we would sort of sink the set into the water. That's the quickest way to give the impression of water rising. That was super wet." Any time they did a new take meant mopping up in order to drench the environment again. As the action unfolds, it turns out Abdul-Mateen's character was always working in cahoots with Orm. That leads to another showdown with our budding Aquaman, this time in Italy. Now, outfitted in with high tech Atlantean gear, Black Manta dons his trademark, almond-shaped helmet. Once again, he's defeated. And the next time he appears it's during a mid-credits sequence, in the care of Randall Park's Stephen Shin. Shin, historically, is yet another antagonist. Here he's a conspiracy theorist who believes Aquaman will lead him to Atlantis. He saves Black Manta, floating on a board of wood, who presumably can give him the key to the underwater kingdom with which he is so obsessed. That tag heavily implies that in the next Aquaman story to hit the screen Black Manta will finally take his place as Arthur's primary opponent, with Shin by his side. Wan, however, has nothing to say on the matter. "I don't like talking about sequels before this film has even come out," he says. "And again, I tell everyone it's because I'm super superstitious." Still, it's pretty easy to assume who Arthur, now on the throne of Atlantis, will have to take on when the time comes for the franchise to continue swimming.